Anne Ackermann’s project “Behind veils and walls” focusses on female refugee life’s in exile and the quest for an authentic and meaningful existence in a transitional space. 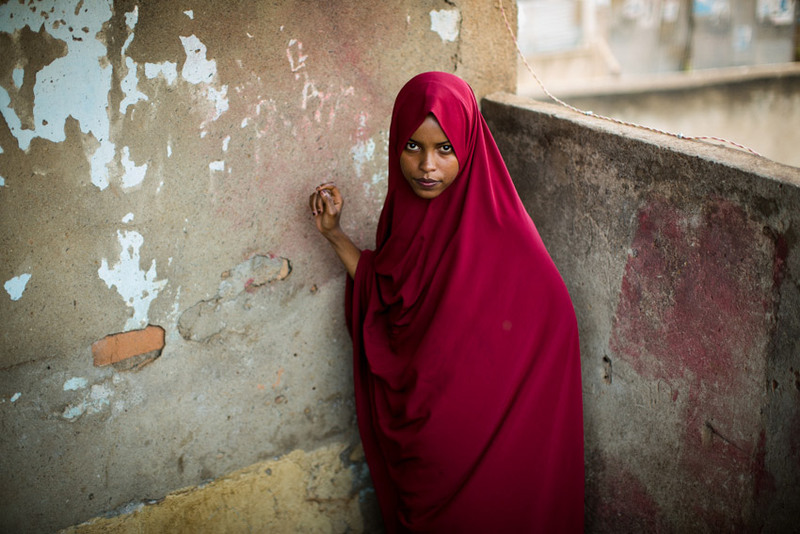 More than twenty-five years after the start of a brutal conflict in Somalia over 1,5 million Somalis still remain stranded around the world as refugees. A third generation of refugees is born in exile making the refugee situation one of the most protracted in the world with little hope of returning home anytime soon. 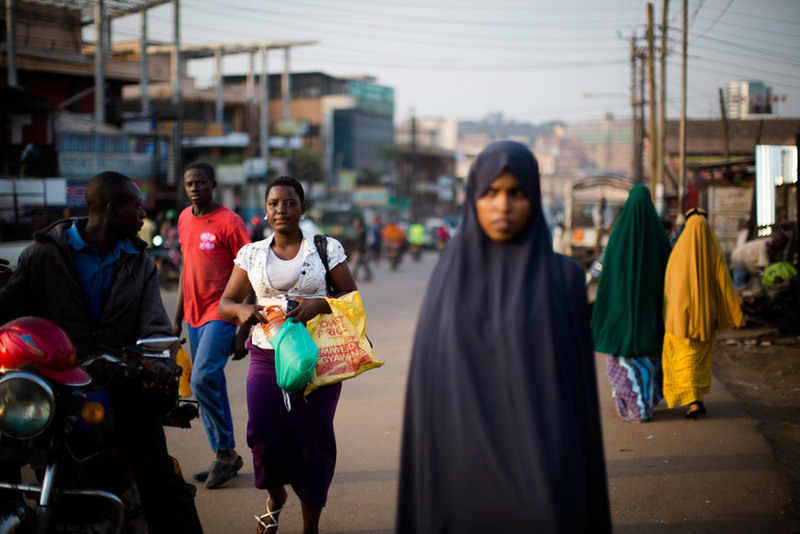 In Kampala, Uganda, an estimated 18,000 Somali families are said to be concentrated around a small area in the downtown part of the capital. Kisenyi with its rough looks and high Somali population has aimlessly earned itself the name „Little Mogadishu“. The Somalis refugee women we see in Anne Ackermann’s photographs celebrate female friendship and solidarity, creating „home” away from home for each other, often in absence of men, who have either died, fled or stayed behind in Somalia. As refugees they hold on to things that are „Somali“, like foods, traditions, customs and of course their religion. But overall despite the hardships for the women in Ackermann’s photos exile is eventually a liberating experience. Cultural authorities are weakened by circumstance, backward practices like Female Genital Mutilation (FMG) are harder to execute in exile, while life feels more free in Uganda. Somewhere in this bubble of Somali life in Uganda and the hopes for a better future in far away third place, life happens. 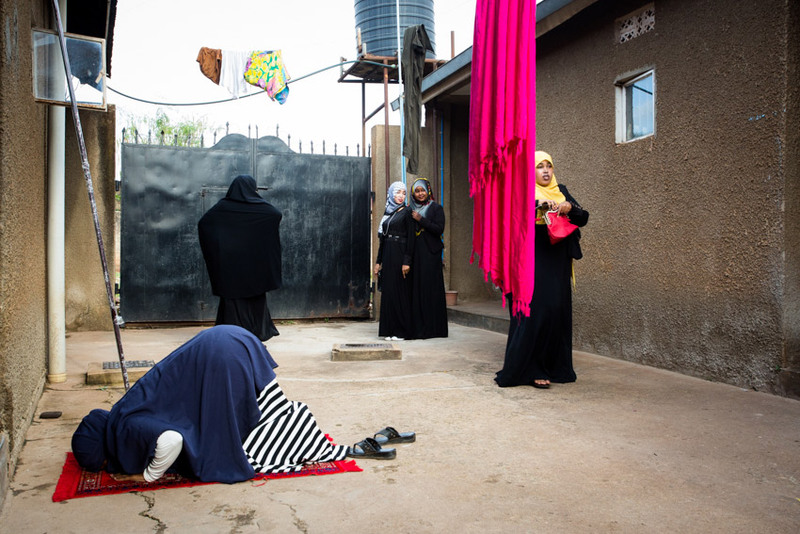 A woman prays while girls pose for pictures during a wedding related women’s gathering in Kampala.